At Z-LASER, quality is defined by the customer. The customer support we offer is strengthened by our knowledge and our ability to provide customer-friendly solutions. 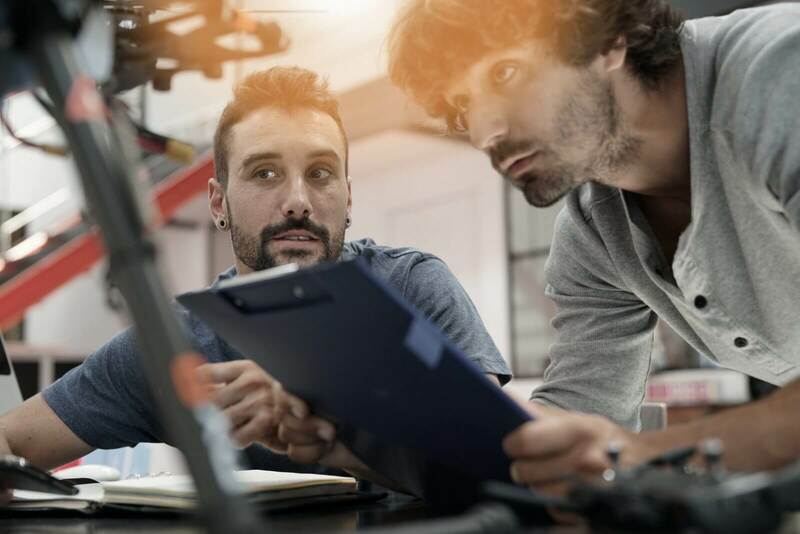 For us, customized solutions mean being able to unequivocally identify the requirements profile and consistently translate it into a set of economic solutions. Quality also means we deliver faultless goods and services—on the requested date and in the required quantity. Quality is when the customer comes back to us—not the laser. Quality begins at the very start, in conversation with the customer. Their wishes, needs and expectations determine our professional course of action. As such, we are constantly reviewing and revamping the way we do things. Misunderstandings can and should be avoided, and products and services should meet the quality requirements of every customer. Every employee is entrusted with upholding quality—no matter what department they work in, or which tasks they are responsible for completing. This quality can not be adequately measured, so we just continue to produce at the highest quality possible. From development through production to sales, we deliver quality of methodology. The selection and design of each component in our products ensures perfect functioning. Against such a backdrop, we consistently strive to improve our processes and our products. The quality of a product is not determined solely by its technical aids. A person’s attitude also contributes to product quality. Because quality begins in the mind, we promote the quality thinking of all our colleagues in order to provide the type of service we expect from others. We readily accept constructive criticism as it helps us to rethink our actions and continually improve quality. Our company management involve employees in important decisions, thus promoting self-motivation and self-participation—another marker of quality. Ensuring occupational safety, environmental protection, and the fulfillment of all legal and regulatory requirements in the interest of employees and of the public is a binding management task for all executives. 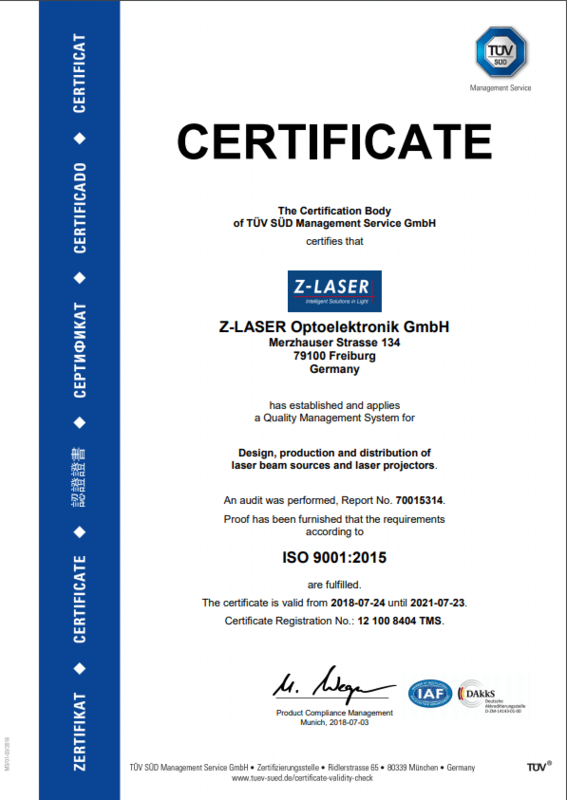 Z-LASER is certified according to the ISO 9001 standard.